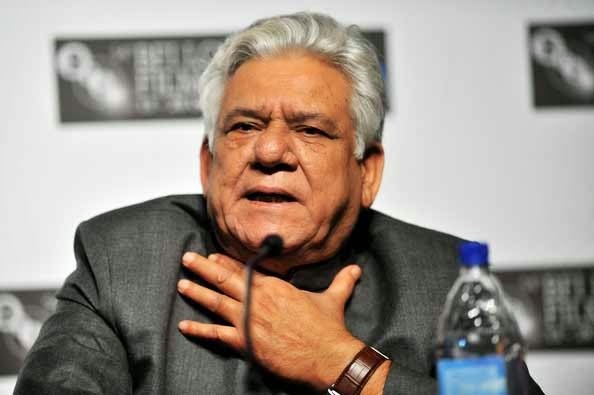 Mumbai : 'The Dirty Politics' actor Om Puri, who will be next seen in “Jai Ho Democracy”, says the political comedy is as mainstream as any other ‘masala’ film, just that it’s without any of the celebrity Khans of tinsel town. He assures us that the movie has “all the masala” that a mainstream Hindi film has. The film takes a comic look at how the powers-that-be continue to procrastinate and maintain status quo, unfazed by the gravity of the situations at hand. It also explores the funny side of how the media gets desperate in highlighting unworthy issues, apart from giving a message of hope for peace between two neighbouring countries. Written and directed by Ranjit Kapoor, “Jai Ho Democracy” also features Annu Kapoor, Seema Biswas, Adil Hussain and Satish Kaushik.